With the Business and Enterprise license of the software, directly migrate Lotus Notes to Live Exchange server environment. The application is capable of exporting the data in bulk from Notes platform to the Exchange server. The utility extends its functionality to provide mapping facilities like mapping of the inbox NSF file with the inbox of Outlook. This feature ensures that data remains structured completely in the way it was there in Lotus Notes. NSF to PST Converter comprise of new feature to detect and convert the canonical names found in the NSF email address.The utility convert the names either in single or discrete SMTP format. All the HTML formatting of messages such as signatures, hyperlinks of messages are preserved during the export process. No alteration obtained in the HTML formatting of messages even after conversion to PST file format. 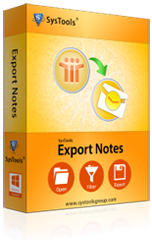 The Export application helps users in converting data which is present in the folder known as All Documents of Lotus Notes database. By extending this facility, it comes as an ideal NSF to PST conversion software. The software keeps all the information related to the internet header of email messages intact. It does not bring out any changes in the technical data stored in the internet header of NSF messages while converting them into PST format. Befor opting for the conversion of NSF file to PST, the software exhibits the new option to attain large NSF file data in required size of PST file by dividing it via the option Split Outlook Data File. Easy to access interface which makes even novice users to access easily. Mails, contacts, calendar, to-do-list, tasks, notes its database is completely migrates in Outlook. Encrypted mails also safely convert into Outlook. Customer do not have a need to decrypt them before the migration. Software compatible with working on windows platform and it supports 32 bits Outlook only. This External utility software capable enough to work with different version of both environments. NSF to PST Converter Software is a complete solution for exporting Lotus Notes emails to MS Outlook. Lotus Notes to Outlook Application has been evolved using Intelli Sense Reasoning which lets program in fast scanning of NSF File and helps to hastily connect with Lotus Notes components to display e-mails, connections, schedule, magazines, to do list in their specifictabs. Export NSF to PST tool provides an option to convertsingle or multiple files from Notes to Outlook. The software successfully Convert Lotus Notes NSF database to a new Microsoft Outlook PST file. Versatile Lotus Notes conversion tool to convert emails to MS Outlook such as directory hierarchies, HTML messages, accessories,included pictures, and message flags. I was completely fed up with the extensive migration programs from Notes to Outlook platform for which the company had entrusted the whole responsibility. One day my friend told suggested me of Export Notes. I downloaded the free demo version and it worked perfectly fine. So without looking for any other solution, I made the online purchase. Brilliant performance! Never thought that a solution like NSF to PST Converter can bring about such kind of feasibility.it not allowed me to export the Lotus Notes NSF files into Outlook PST file format but also helps in effectively managing the size of the PST files. Thanks to the team for bringing up such an awesome product. Previously I was using Lotus Notes at my work place but after getting shifted to the client location, I found that they are using Outlook. I wanted to access all my data present in Notes but this was not possible. Then I came across your product NSF to PST Converter which eased all my concerns. Highly recommendable application developed by the team. Thanks a lot! The various filter options provided by this application are just awesome. By helping users to export only selective files to PST file format, it not just saves their effort but also their valuable time. Impressive performance and operability! Is it mandatory to have both Outlook and Notes installed on system for performing migration through the software? Yes, it is compulsory for users to install both the email client on their system for carrying out successful migration of Notes to Outlook platform. Is this tool capable of converting the NSF files which are in encrypted format? Yes, the tool can convert those Lotus Notes NSF files which are password encrypted. The application provides a facility for users to remove encryption from NSF file files at the time it converts them into PST file format. How many NSF files can the application convert into Outlook PST file format at one time? With the Corporate license of the tool, users can export one NSF file at atime.However, with the Technician and Enterprise version of the license you can perform bulk migration at one time. Is there any limitation on the NSF file size while converting them into PST file format? There is no such limitation on NSF file size. The application does not impose any restriction on NSF file. You can convert NSF files of any size to PST file format.